When rumors swirled around that there would be a Roseanne reboot, fans of the classic hit TV show were riled up. Eventually, the rumor was confirmed to be true by ABC. The show’s reboot had a successful reception that is until Roseanne Barr got into a political deep dive with her racist tweet concerning Valerie Jarrett – a senior adviser to Obama during his presidency. The show got canceled right after the incident. However, ABC wanted to do a spinoff of Roseanne called The Connors. This led to the new series having the remaining cast return for a “Roseanne-less” affair. 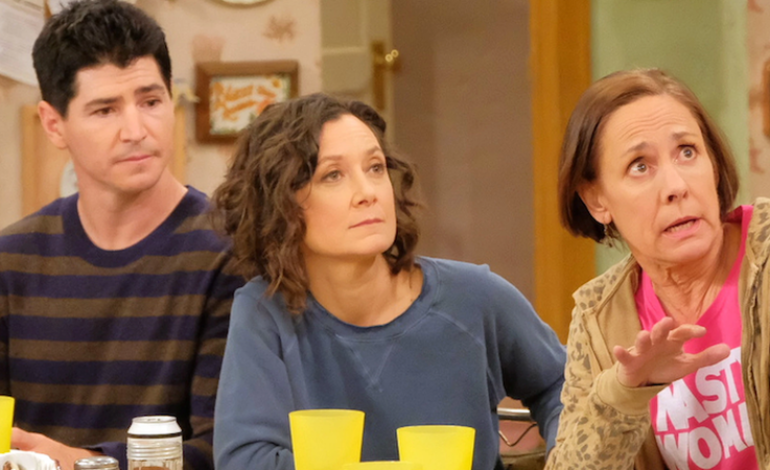 The Connors killed of Roseanne and continued on with the show while centering it around Sara Gilbert’s character, Darlene. Laurie Metcalf plays the beloved Jackie Harris. Reporters caught up with Metcalf at the Critics’ Choice Awards on Sunday to ask whether or not the show will get a second season. “I believe it’s going to happen,” she told ET‘s Lauren Zima. “I think we’ll do between 10 and 13 [episodes], something like that. … I think the tone will be the same, but I love not knowing what’s coming up at all.” That sounds like some hopeful news for fans of the show. Metcalf praises the writers who have had to deal with a show with its origin from Roseanne but had to write it without her. “I just think the writers did a wonderful job of keeping the tone and telling stories about the characters people have grown up with,” she said. Many thought that the series would struggle in explaining how Roseanne was no longer a part of the story. The first episode tackled the issue in a difficult setting, however, fans have accepted that this was the way it had to be even if it meant eliminating an essential character. Watch The Conners on ABC on Tuesdays at 8 p.m. ET/PT.